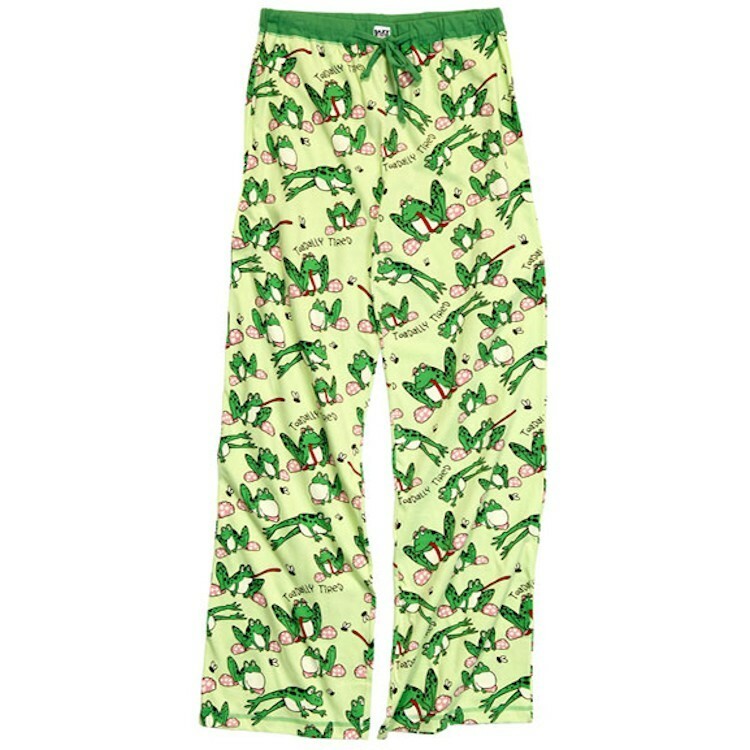 The Toadally Tired Pajamas feature tees with a stylish cut that hugs the body and slightly tapers through the waist. The green color pops with a contrasting light green raw-edge trim. Raw-edge trims provide maximum comfort while sleeping. The juniors style Toadally Tired Yoga Pant are straight-legged and fitted through the hips and thighs. Drawstring waist keeps these pants put! 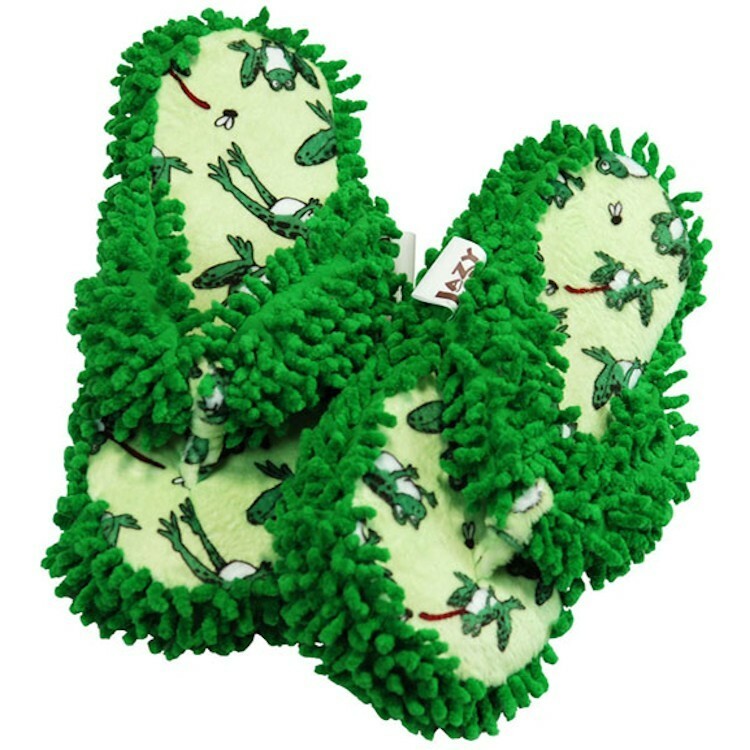 and don't forget to add a pair of spa slippers for your pads!